Workforce planning and development is the process of determining skills and labour market needs in response to demographic, economic and labour market conditions and other challenges that ongoing change brings. It involves designing and delivering strategies, policies and actions that maximise opportunities for building, attracting and retaining a skilled and capable workforce. The Department of Training and Workforce Development was established by the Western Australian Government in 2009 as the State’s lead agency for workforce planning and development. Our role is to work together with stakeholders across government, industry and the community to establish strategies and programs that build WA’s workforce to meet the State's economic and community needs by leading and coordinating workforce planning and development strategies, and driving a responsive and flexible training system. The Department prepares a Labour and economic snapshot of Western Australia, analysing the current situation and outlook for the State’s labour market. You can view the June 2018 edition here. The Department engages and coordinates the efforts of State Government agencies, industry, community and Australian Government stakeholders to maximise opportunities for working together to deliver workforce planning and development priority actions, plans and strategies. Together, these aim to build a skilled and flexible workforce with the capacity to support Western Australia's economic and community needs. In Australia, the Commonwealth Government's Department of Immigration and Border Protection has responsibility for immigration policy. It also makes the final determinations on all applications for humanitarian, business and skilled visas (see homeaffairs.gov.au for more information). 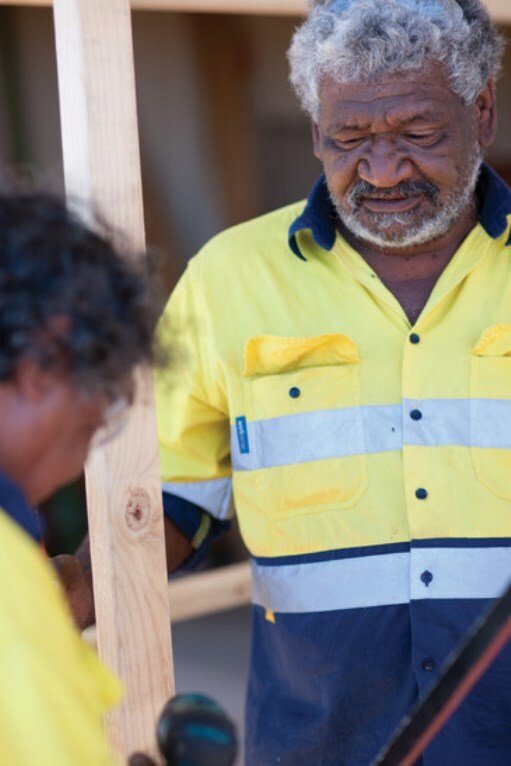 The Commonwealth Government allows each Australian state and territory to nominate skilled migrants under a broad range of occupations, to meet their own local workforce needs. The Western Australian Government places Western Australians first when it comes to securing jobs in the State. Accordingly, the State Government's first workforce development priority is to train and prepare Western Australians for the workforce. WA’s State nominated migration program therefore targets only those skilled jobs that genuinely require overseas workers, where local workers cannot be sourced. The program works in conjunction with other workforce development mechanisms to help ensure employers have access to the skills they need. For information on living and working in Western Australia, or how to apply for nomination by the State Government for a skilled nominated visa under WA's State nominated migration program, please visit the Department's Migration portal. The WASMOL lists those occupations eligible for skilled migration through nomination by the Western Australian Government. The occupations identified on the WASMOL do not relate to any specific job vacancies, nor do they represent any guarantee of a job. Rather, the WASMOL identifies occupations that have compelling evidence of unmet demand and are considered a priority for WA in respect to those skilled jobs that genuinely require overseas workers. If a potential migrant’s occupation is identified on the WASMOL, he or she may be eligible for nomination under a Skilled nominated visa (Subclass 190) or Skilled regional (provisional) visa (Subclass 489), subject to a number of other criteria also being satisfied. The WASMOL is reviewed regularly to ensure it remains current. The latest WASMOL can be accessed on the Department's Migration portal. For enquiries please contact our Migration Services branch. 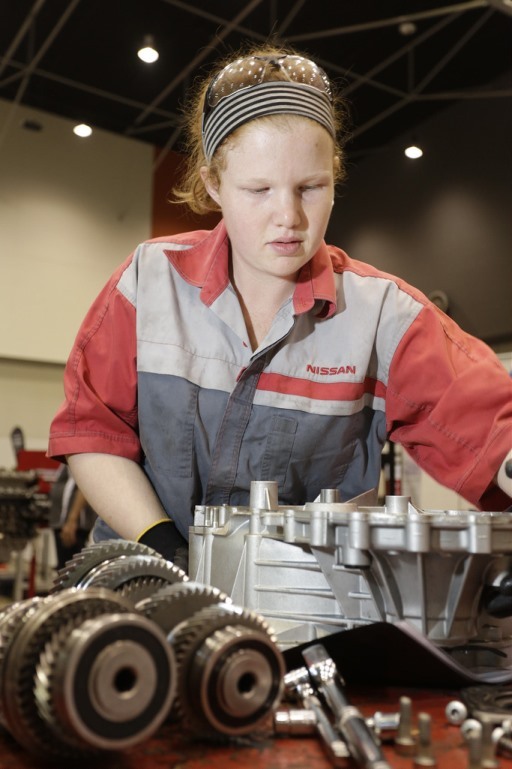 To support the goal of building and developing a skilled workforce for WA and facilitate delivery of a coordinated statewide plan, the Department – in collaboration with key stakeholders from government, industry and communities throughout the State – has developed the WA workforce planning and development model as an overarching framework. This model follows a best practice workforce planning and development process to outline how all stakeholders can work together to respond to economic and labour market challenges and explore opportunities for WA’s continued growth and prosperity. For more information about how the model is integrated into practice, please take a look at the WA workforce planning and development model paper. This paper explains the key components of the model, along with its planning framework and the programs, initiatives and services the Department provides to support it. 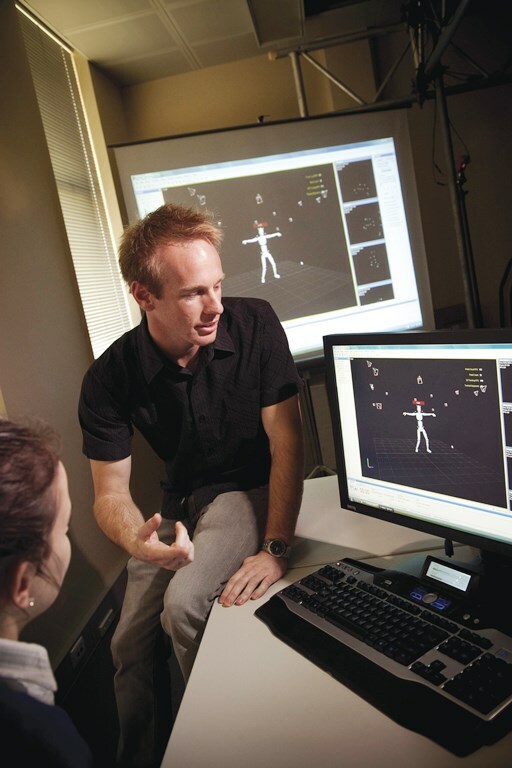 The Department undertakes and facilitates research, analysis and planning associated with the current and future training and workforce development requirements for regional areas. This involves researching and analysing data and trends relating to Aboriginal and Torres Strait Islanders, community, industry, social, economic, employment and training issues for the each of the nine regions of Western Australia. Western Australia’s regions represent a wide diversity of living and working conditions. They also contribute significantly to the State's economy, with each region presenting its own unique workforce challenges and issues. To find out more about each region, select it from the map. For state level labour market data please visit the Australian Bureau of Statistics website. The latest labour market data can be found by searching for ‘Labour Force’ on their website. Alternatively, please see the Department’s Quarterly labour and economic snapshot. Sources for regional data are ABS, 3218.0, Regional Population Growth, Australia, 2017–2018; and the Australian Government Department of Jobs and Small Business, Small Area Labour Markets– Australia (December 2018 quarter). A discrepancy between some State and regional figures may arise from time to time, due to State figures being released monthly by the ABS and regional figures being released quarterly by the Australian Government Department of Jobs and Small Business on a 12 month rolling average basis. 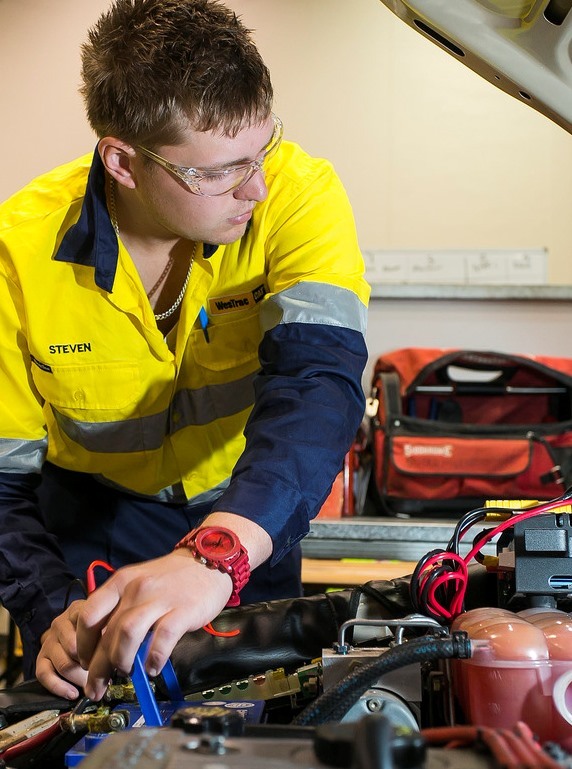 The Western Australian State Government is committed to ensuring that TAFE colleges deliver training that aligns with future job growth in the regions. The Department of Training and Workforce Development is undertaking an annual labour market review for each of the nine regions of Western Australia, to provide a basis for the development of region-specific lists of occupations that are difficult to fill. These lists and other findings from the regional labour market reviews guide training delivery that aligns with employment needs in each region. The labour market reviews also aim to inform the Department, regional TAFE colleges and industry and community stakeholders on current and future labour market trends, current attraction and retention issues being experienced by employers, and education and training issues identified in each region. The regional labour market reviews will be published here, as they become available. Further information on the reports of the regional labour market reviews, please contact us by email at rwd@dtwd.wa.gov.au. The labour market review covered by this report relates to the Goldfields area, which for the purpose of this review incorporated the City of Kalgoorlie-Boulder and the Shires of Coolgardie, Dundas, Laverton, Leonora and Menzies. The State priority occupation list (SPOL) is produced each year by the Department in consultation with key stakeholders, including the State’s industry training councils, to inform and guide workforce planning and development for Western Australia. It is a list of occupations rated according to their priority status for WA. The SPOL informs the WA State training plan, which guides the allocation of subsidised training programs into areas of prioritised need. It also informs WA workforce development planning and the Western Australian skilled migration occupation list (WASMOL). Using the interactive SPOL format below, you can search over 700 occupations and see their current priority status. Please note that currently this may not be functional on all mobile devices. To find out more about a listed occupation, highlight it in the list and select the ‘Print occupation profiles’ button. This will generate a PDF document with a description of the occupation, its priority index, and the written evidence received from stakeholders in relation to this occupation. To see the whole SPOL, use the buttons at the top right to copy it to your clipboard for pasting into a document, or export the list as a spreadsheet or PDF. The SPOL is designed and intended to be used for policy planning and research purposes, rather than as a career guidance tool. If you’d like to know more about what kind of occupation(s) might suit you or someone you know, please visit the Jobs and Skills WA website. The SPOL summary paper outlines the process undertaken to create the list. It includes an explanation of the five categories that are used to assign priority ratings to a particular occupation based on its criticality, evidence of unmet demand, and any relevant non-market factors. The summary paper also provides an overview of Western Australia’s labour market by occupation groups, and includes the full SPOL listing of occupations. The SPOL changes paper details the changes stemming from the review of the SPOL methdology conducted throughout 2017 and 2018. The review has resulted in a broader evidence base, and allowed for a more flexible framework for future policy development. Though not a full methodology paper for 2018, this document provides an outline of the changes undertaken between SPOL 2017 and 2018, including the concepts and reasoning behind them. For more information about the process and the data sources used to create the SPOL each year, please refer to the SPOL scope, methodology and sources paper. This paper also provides information about the statistical methodologies and consultations with industry and training councils that form part of the SPOL development process each year. The following list of frequently asked questions provides more information about the SPOL. Why do we need a SPOL? The SPOL is an important tool to inform decisions about how funding for training and workforce development programs is allocated. The SPOL helps to ensure that we are investing in the development of skills and knowledge that match the occupations we need now and into the future. How is the ‘priority’ of an occupation decided? there are other, non-market factors impacting on the occupation, such as changes in regulations and licensing arrangements. How is the SPOL produced? The Department conducts extensive economic and labour market research and analysis at an industry and occupational level to determine the State's priority occupations. A key input to the SPOL is the Occupational priority index (OPI), which represents the output of the Department’s statistical analysis at a detailed occupational level in respect to the Western Australian labour market. The OPI actually refers to two distinct indices, ‘market’ and ‘structural’, with separate data sources and inputs for both. The main State-based indicators used to determine the market OPI are as follows. Employment size – Based on the Australian Bureau of Statistics (ABS) 2016 Census. Future labour demand or supply (FLDOS) and past labour demand or supply (PLDOS) – Both are based on a number of data sources and provide an indication as to whether labour supply is broadly meeting/expected to meet demand. Average weekly wages – Based on employee earnings and hours data for full time adult employees (ABS Catalogue Number 6306.0). Job openings – Based on Monash University’s Centre for the Economics of Education and Training (CEET) data, these are forecasts of emerging vacancies (whether filled or not) for each occupational group. The main State-based indicators used to determine the structural OPI are mostly based on the ABS Census (except for lead time) and can be described as follows. Retirement exposure indicator – Highlights occupations with a significant proportion of their existing workforce close to, or above, retirement age. Change in median age – Measures the growth in median age for each occupation between 2011 and 2016. Lead time – Based on the Australia New Zealand Statistical Classification of Occupations (ANZSCO) standard definition of lead times for each detailed occupation. Industry portability – Measures the spread of employment of each occupation across major industry groups as defined by the Australia and New Zealand Standard Industrial Classification (ANZSIC). Occupation qualification usage – Measures the proportion of an occupation’s workforce with formal qualifications as of the latest census. This statistical analysis is supplemented by intelligence provided by industry, facilitated through the State Training Board's network of industry training councils. These bodies provide strategic advice on occupations that are considered to be experiencing or are expecting to be experiencing a degree of disruption in their labour market, based on research and consultation with their industry sectors. The complete list is then validated and assessed by the Department, in consultation with each industry training council, in order to produce the final SPOL each year. What do the priority ratings on the SPOL mean? An occupation listed on the SPOL may be assigned to one of five separate categories that align with issues the occupation faces. State priority 1 – The highest priority occupation where structural and market-driven issues are impacting at the State level. State priority 2 – The second-highest level of priority, where structural and/or market-driven issues are impacting at the State level. State priority 3 – The third tier of priority representing either occupations of pending concern, and/or where supply is considered essential for the State's economy. Other identified occupations – Refers to occupations where there is inconsistent or conflicting evidence relating to structural or market driven issues. These occupations are closely monitored by the Department. Not identified as a priority – Refers to occupations with no evidence for inclusion on the priority list. How are occupations chosen for inclusion on the SPOL? The following criteria are applied to determine whether an occupation should be considered for the SPOL. There must be an adequate level of quality information about the occupation in order to assess and validate the needs of the occupation. In practice, this means that the occupation must have a valid Australian and New Zealand Standard Classification of Occupation (ANZSCO) code from the Australian Bureau of Statistics at the six-digit level. The occupation must have specialised skills that require extended (post-school) learning and preparation time. Occupations that do not require post-school qualifications prior to entry, such as labourers, process workers and kitchen hands, are excluded from the list of eligible occupations. Because the SPOL is used to determine funding priorities for training in WA, the occupation should have clear education and/or training pathways or qualifications that can be obtained within Australia, and where the skills learnt can be matched to the requirements of the occupation. Where an occupation does not have any educational or vocational education and training qualifications associated with it, it is excluded from the eligibility list. Examples of these include judges, members of Parliament. The occupation must also operate in the normal labour market; that is, there is a regular recruitment process to fill vacancies and many employers available. Occupations that are highly regulated, or those with tightly controlled recruitment practices with specialist skills, are not eligible for inclusion. Examples of these include defence force personnel, police officers and air traffic controllers. An occupation will be considered if any disruption in its supply would result in significant impacts more broadly across the industry or the State economy. These impacts may manifest themselves in higher unemployment and/or slower growth due to supply bottlenecks. If you have queries regarding specific occupations for the SPOL, please contact the relevant industry training council for that occupation’s industry area. The ITCs are the first point of contact for feedback regarding occupations for the SPOL. A full list of WA ITCs is available on the WA State Training Board website. For general enquiries regarding the SPOL, please contact the Department via our online enquiry form. Western Australia has a population of around 2.6 million people, of which more than half make up the State’s workforce of some 1.4 million people. WA has the fourth largest workforce in Australia, and the highest rate of workforce participation of all the states (excluding ACT and NT). Aboriginal Australians make up 1.9% of the State’s workforce, while those born overseas make up 39.8%. Youth aged 15–24 comprise about 14.3%, while those over 60 comprise 9.8%. WA’s male to female workforce ratio is 55% to 45%. Many Western Australians in the workforce hold post school qualifications, with 25.1% holding a university degree and 33.5% a VET Certificate or Diploma. 39.1% have no post school qualifications. The vast majority (around 79%) of the State’s population and workers reside in Greater Perth (including Mandurah). However, the regions are quite diverse in nature and incorporate a variable mix of employment in areas such as services, resource projects, agribusiness and tourism. The majority of workers in the State are employed on a full time basis (68.3%), with a broadly similar industry employment composition to that of the other states in Australia, with 74.4% employed in the State’s service related industries, compared to 79.1% for Australia. The top three employing industries in WA are currently Health Care and Social Assistance, Construction and Retail Trade. One key difference in employment composition relates to WA having a higher proportion of workers employed in the mining industry (6.7%) compared to nationally (1.8%). Source: ABS Census 2016; ABS 3101.0 – Australian Demographic Statistics; ABS 6202.0 – Labour Force, Australia; ABS 6227.0 Education and Work, Australia; and ABS 6291.0 – Labour Force Australia, Detailed, Quarterly. WA has a land mass of over two and a half million square kilometres, nearly 10 times the size of New Zealand. Western Australians enjoy a good quality of life supported by strong infrastructure and quality government services. With its immense dimensions, small population and Perth’s distinction as the world’s most isolated capital city, WA is a state of contrast that offers many opportunities for growth and prosperity. In recent years WA’s richness in natural resources and proximity to Asian markets has provided economic growth and benefits to both industry and community; however the ever-changing demographic, economic and social climate means that it must continue to adapt and grow into the future. In particular, the State must respond to its changing workforce profile and position itself to meet the developing labour market challenges. The State’s population and labour market have a direct impact on the planning and development of our future workforce. Forecasts from Victoria University’s Centre of Policy Studies (out to 2021–22) and the Australian Government Department of Jobs and Small Business (out to May 2022) show that over the next few years WA’s employment growth by industry is expected to be broadly based. While there is some variation between the two sets of forecasts, an area of consistency is that the industries of Health Care and Social Assistance, Retail Trade and Construction are forecast to continue to be the highest employing industries in the State, by the end of the respective forecasting periods. Other areas of employment growth are expected to be in Professional, Scientific and Technical Services, and Education and Training. In view of the State’s current dynamic economic environment, it is very difficult for any forecaster to accurately predict specific and detailed movements in employment growth as there are many uncertainties to be considered. As such, care needs to be exercised when interpreting any projections of labour market movements for the State. In particular, the following chart showing the two different forecast sets of employment growth by industry should only be used as a broad guide as to an indicative picture of what the State’s future labour market may look like under the assumptions adopted by either forecaster. Furthermore, expected growth in employment does not necessarily mean jobs will be easier or harder to obtain in any particular industry area – levels of competition for vacant positions can often be quite marked and variable. Prospective students or jobseekers are encouraged to undertake research into possible training / career paths they may be interested in. Source: Australian Bureau of Statistics (ABS), 6291.0, 2016–7; Centre of Policy Studies (CoPS), Victoria University, 2017; Australian Government Department of Jobs and Small Business (DJSB), Labour Market Information Portal, Nov 2017. * DJSB employment growth forecasts are negative for Manufacturing, and Electricity, Gas, Water and Waste Services. The Department prepares a Labour and economic snapshot for Western Australia, based on the most up to date information. The snapshot provides some analysis of the current situation and outlook for the State’s labour market. The current edition of the labour and economic snapshot is now available for download. Its key message is that despite some positive short term signs in headline results, underlying labour market conditions in WA continued to be subdued in the June 2018 quarter. It also shows the following. Total employment increased by 7,300 persons, with full time employment increasing by 4,200 workers and part time employment increasing by 3,100. The State’s unemployment rate stood at 6.3 per cent, 0.8 percentage points above the national rate. This compares to the March quarter when the unemployment rate for Western Australia was 6.2% and the national rate was 5.5%. At 14.5%, Western Australia’s annual average unemployment rate for youth (those aged 15 to 24 years) is now at its highest level in 20 years. The latest available forward indicators suggest a continuation of patchy conditions in the State’s labour market during at least the next quarter or two, with a somewhat higher demand for workers still not expected to be strong enough to meet the requirements of all of those who are seeking work. The Department sources information on skills supply and demand, workforce development issues, current emerging skills shortages and other related intelligence from a wide range of sources. This includes strong liaison with peak industry bodies, businesses, non-government organisations and many other stakeholders. In particular, Western Australia has industry training advisory arrangements in place with nine training councils, each covering a particular industry sector of the State’s economy. recommendations for training strategies that support industry’s skills development needs. ITCs also have a central role in the development of quality vocational and education training curriculum to ensure that the skills and knowledge gained through training is aligned with current industry competencies and requirements. A full list of WA ITCs is available on the WA State Training Board website. In today’s ever-changing business world it’s important to have a skilled workforce that can learn and grow with you, and adapt to both challenges and opportunities. A smart organisation knows that a focus on its people is just as important as a focus on finance or any other aspect of the business. Workforce development activities such as training and career development can increase employee engagement, leading to better retention of staff and increased productivity. Putting together a comprehensive workforce development plan will help you attract, develop and retain a skilled workforce that can take your business forward into its next level of success. This could include taking on an apprentice or trainee, upskill your existing workforce to gain formal recognition of their skills and knowledge or even undertaking a customised training solution developed specifically to improve your business operations. Whatever your requirements, a range of support services and information and resources are available to assist you with your workforce planning and development. Jobs and Skills Centres can provide you with support and assistance with planning and developing your workforce, and a range of useful resources and information is available on the Jobs and Skills WA website. If you run a business or employ workers in Western Australia, there are a number of different ways that training can help to give your business a competitive edge and engage your workforce. You could take on an apprentice or trainee, upskill your existing workforce or gain formal recognition of their skills and knowledge, or even undertake a customised training solution developed specifically for your business operations. The following information may help you find the solution for your business. You may already have a skilled workforce, but do they hold a qualification which recognises their skills and experience? You can help your staff gain formal recognition towards a nationally recognised qualification for the skills and knowledge they already have. Recognition of prior learning is a process that assesses the skills and knowledge your staff may have obtained through their work experience, studies and life experiences against the required competencies of a qualification. RPL can be granted for partial or total completion of a qualification and employees can be assessed at the workplace, ensuring minimum disruption for employers and business operations. Apprenticeships and traineeships are a great way to recruit new staff or to help your existing staff to increase their skills and knowledge. There are hundreds of apprenticeships and traineeships available with options to employ full time, part time, vocational education and training in school students and mature age apprentices and trainees, and incentives are available to employers. Apprenticeships tend to be in traditional trades, whereas traineeships are usually in non-trade areas such as business. There are many training providers that can design, develop and deliver tailored solutions to meet the needs of your business. Help is available if you need to up-skill or re-skill your workforce, train staff to support new technology or processes, or require a customised training program to provide professional or occupational development. don’t have the time to undertake all the employment and on-the-job training responsibilities that are required. Group Training Organisations can assist. GTOs employ apprentices and trainees and hire them to other businesses, referred to as host employers, while they undertake their training. Some specialise in a particular industry, while others may cater for an entire region and cover many industries. issues uniforms, tools, PPE etc as required. With a GTO, you’re not locked into a long term arrangement. This means you can change and move your arrangements for hosting the apprentice or trainee as and when required to suit your business needs. You pay only for the actual hours worked, and do not have to manage all the administration tasks. You can even access apprentices and trainees at different experience levels, right up to experienced fourth year apprentices. The Department offers a range of specialist services that can assist you with advice, resources and information to guide and support your workforce development planning. The following services are all free of charge and can be accessed throughout Western Australia. Developing and implementing workforce planning and workforce development processes in the workplace and having a ‘workforce action plan’ are essential components of healthy business practice. A range of useful resources, information and tools have been developed by the Department of Training and Workforce Development in partnership with the Chamber of Commerce and Industry and other WA industry leaders. 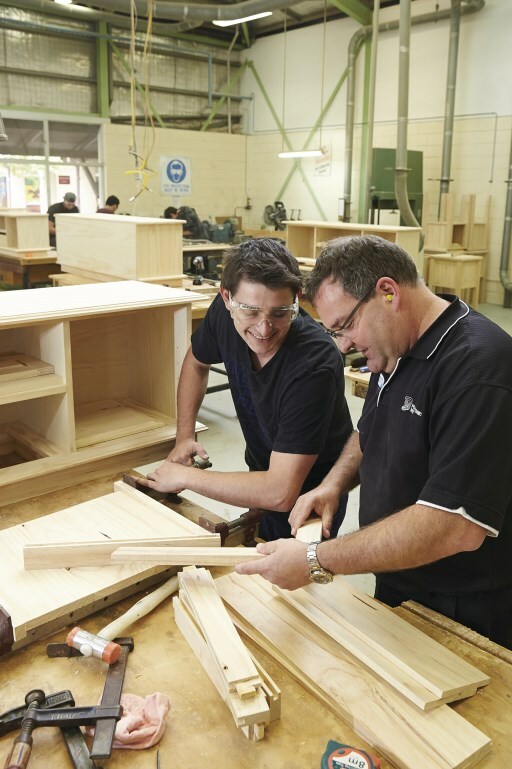 Available on the Jobs and Skills WA website, they provide small and medium businesses with a ‘one-stop’ gateway to find useful information, templates, links and resources that can help you to better plan, attract, develop and retain a skilled workforce. Jobs and Skills Centres are one-stop shops for careers, training and employment advice and assistance. Services are free, and accessible to all members of the community. Five centres opened on 16 April 2018, located on metropolitan WA TAFE campuses, with regional centres opening through 2018–19. Each of the centres is staffed by people who can provide free professional and practical advice on training and employment opportunities including careers advice, apprenticeship and training information. Support services for employers and business, as well as specialist services for Aboriginal people, ex-offenders and people from a culturally or linguistically diverse background are also available. The centres also provide an online jobs board, to connect jobseekers with employment opportunities and to help employers attract and recruit employees. The Small Business Development Corporation was established by the State Government to encourage, promote, facilitate and assist the establishment, growth and development of small business in Western Australia. It offers a comprehensive range of services to the small business sector, including business skills workshops and support for recruitment and workforce development, as well as a range of guides and tools. You’ll find comprehensive information on topics such as starting your business, employing staff and managing disputes, as well as useful statistics relating to small business in WA, on the SBDC website.